Happy summer everyone! And happy 10-month birthday to BigTravelNut.com. That’s right, the blog is 10 months old today. As it happens, today also marks exactly a year-and-a-half since my last day working at a day job on December 21, 2012. Coincidentally, this day was also the predicted end of the world, which some less dramatically forecasted would be “the end of an era”. Isn’t that interesting? It was certainly the end of my corporate drone era. I apologize if I haven’t posted for a while, but I’ve been busy putting the finishing touches to my e-book… or rather e-books. From some of the early comments, it became obvious that my e-book was in fact two separate e-books: one about Latin America and one about Southeast Asia. So I’ve had to spend some time separating these conjoined twins, adding images and so on. They should be all ready to go early next week and I’ll make an announcement on Facebook, Twitter, and of course my mailing list when they’re up for sale. Stay tuned! But today I thought I would write a retrospective of those last ten months as a travel blogger. So here they are: the 10 most exciting events of the last 10 months. 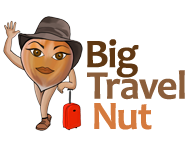 August 21, 2013: BigTravelNut.com goes live! After two months of learning about blogging, writing, setting up WordPress, and searching for a WordPress theme that would give me the look-and-feel as well as the functionality I wanted, my blog was finally born! 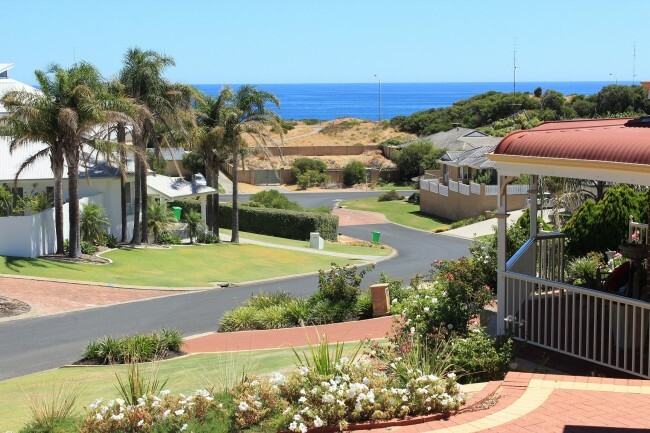 I started seriously considering house-sitting in May of last year after coming across a couple of Canadian travel bloggers (Dalene and Peter Heck of HeckticTravels) who were successfully using this method to slash their accommodation costs while they travelled. I bought their e-book and spent several days setting up a good profile on TrustedHouseSitters.com. Nine days later, I got a 2-week assignment in Victoria, BC. I had wanted to visit Burma for 10 years, with two earlier failed attempts due to various personal and political circumstances. After getting my visa at the Burmese embassy in Bangkok, I finally landed in Yangon the day after Christmas.Yay! I had already written a small booklet back in 2003 to sell as class material for a Learning Annex workshop I was teaching about budget travel, but it never made it online. This e-book project was much larger and now I had the very clear goal of making it available online to readers of BigTravelNut. Sitting in my room in Chiang Rai Thailand, typing away on my small laptop day after day, I felt like a serious writer! I obtained my second house (and cat) sitting assignment while I was still in Burma, for a 3-week stay in Bunbury, Western Australia. The house was beautiful, with a backyard patio, and located about 2 minutes walk from a near-deserted beach along the Indian Ocean. It was warm and sunny the whole time. And the cat was adorable. I had been aware of the Toronto chapter of the Travel Massive association since the fall, but this was the first meeting I was able to attend, which conveniently convened in a pub five minutes walk from my home. Travel Massive connects travel & tourism companies, travel bloggers, start ups, and travel media to share, learn, and collaborate in the online travel industry. It’s a great way to network and make yourself known in the industry. One (big) step up from a Travel Massive meetup is the TBEX (Travel Blogger Exchange) conference which happens twice a year, once in North America, and once in Europe. I signed up for TBEX Europe 2014 in Athens, which will be from October 23 to 25. I’m excited, and a little scared. There will be thousands of people at this thing! Well, OK, “press trip” might be a bit of an exaggeration, but I went on a free walking tour of Chinatown and Kensington Market sponsored by Toronto Urban Adventures, with the implicit understanding that I would write about it on my blog, which I did. 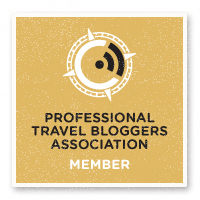 And then just last night, I took another step toward becoming a professional blogger, and joined PTBA, the Professional Travel Bloggers Association. They do have requirements for membership, such as number of page views in the last month, and length of existence. I was quite pleased to discover that BigTravelNut satisfied both criteria. Being a member lets you build a profile that is searchable by travel industry people who are looking for bloggers to collaborate with. In terms of “excitement” not directly related to the blog, there were also my rides on the back of a scooter in Chiang Rai! And of course winning 30 hours of Spanish online classes (over Skype) with Habla Ya, my old Spanish school in Panama, a value of over $500! I feel like I am making progress, but there is one major thing I have been neglecting over these last months of travelling and writing: marketing. In the blogging world this is most commonly called “building traffic”. Marketing happens to be my weak skill. Unfortunately, marketing is a big part of a travel blogger’s life, because if people don’t know you exist, they won’t read your blog or buy your products. And if your number of visitors and page views is not high enough, nobody in the industry will waste their time working with you. So once the e-books are out the door, I want to focus more on building my traffic. Will you help me? All you have to do is mention me to your friends and followers on Facebook and Twitter, if you think they would be interested in my topics. And once again, happy summer! Big Travel Nut is one year old today! Big Travel Nut is two years old Big Travel Nut has a party! BigTravelNut wins two Liebster Awards! Wow, you have achieved a lot within 10 months of blogging! Great work! Congratulations! 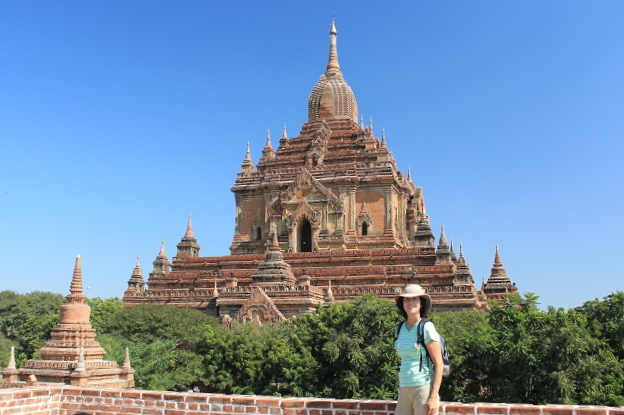 Myanmar has been on my list for a while. So wonderful that you were able to check it out! I am working on getting my blog up and running too. I joined Travel Blog Success and am also in the process of learning about blogging, wordpress, and professionalizing my blog in order to make money. Slowly but surely I will join the ranks of travel bloggers too. Welcome to the club Maida! Travel Massives are great events, hope to attend some more soon! Those are some huge achievements in just 10 months of blogging. I have been at it for a few years but very seriously just a few months and I am still struggling with marketing and building traffic towards my blog. You have some major milestones and that’s wonderful. Thank you for the inspiration by sharing your journey. Thanks Natasha! I’m struggling with the marketing and building traffic as well.